I am overwhelmed that people from all over the world tune in to read the tales from My Sardinian Life. Thank you, World! When I started this blog, two years ago, it was with the sole intention to share my photos and daily life with my family and friends who are scattered all over the globe. It was also an outlet to try on my writer’s voice and publish some of the songs and poetry that I’d kept locked up tight. I am humbled, grateful and ecstatic to have recently received two fantastic blogging awards from Marito alla Parmigina. He’s a blogger, husband and an amazing cook. Check out this recipe – Panna Cotta all’Orzo – Italian Cooked Cream with Barley. This desert looks heavenly, now only if I had the patience to give this recipe a go, possibly one day! Don’t be fooled by the Italian blog name this super blogger translates most of this posts into English! Snaperriffic. Thank you, Marito alla Parmigiana for the following two awards – and my first Italian blog award. Wahoo! 1. Thank the blogger who nominated you and provide a link back to their blog. 3. Nominate 3 deserving blogs. 1. If you should change one thing, what would it be? I’d end child labor and hunger – worldwide. 2. If you could relive one day, which would it be? My second day in Australia. 3. What’s one thing that really scares you? 4. What’s one dream you have not completed yet and do you think you will be able to complete it? 5. If you could be someone else for a day, who would it be? 1. Our Adventure in Croatia – is a lovely blog written by a couple who had a dream. I’ve enjoyed following their dream in this lovely country I’ve yet to discover. Their latest post about a re-cycling pensioner named Baba is hilarious and makes you think why the smaller countries in the world have just slowly begun to re-cycle. 2. Ouch!! My back hurts!! is about life in the greater Dublin area. An author, fabulous nature photographer and walker. This blog makes me laugh out loud and stare in awe at a city I so adore. 3. Where’s my backpack? is a travel blog where the writer – Ailsa prefers to romance the planet one country at a time. She is also the host of the popular Weekly Travel Theme photography exhibition where hundreds of bloggers showcase their photography. Check out her awesome post and photography on a random post here. The first photo made me WOW out loud! 1. The blog is updated regularly. 2. The blogger shows genuine passion for the topic. 3. The blogger promotes the sharing and the active participation of readers. 4. The blogger provides content and information which is useful and original. 5. The blog is not packed with too much advertising. 2. 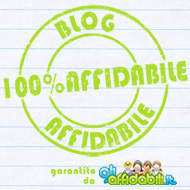 Add the Affidabile jpg to your blog in a post, widget or page. For the origins of this award click here. 4. Nominate 5 other blogs that you think deserve the award. 5. Don’t forget to let your nominees know they’ve won an award. 1. You’ve Been Hooked! is written by Canadian bellman, author (I read it, and I liked it) and father. The Hook writes tales from the trenches of the tourism industry in a busy Niagara Falls hotel. He’s an awesome man because he took his daughter to work and made him so proud that he wrote about it and because he’s Canadian, eh! 2. Chronicles of Illusions is an awesome blog written by an animal advocate who lives in New Zealand. She is a freelance writer, poet, African explorer and Mom who lives with her demented fox terrier and two cats. 3. Chasing Butterflies: Sunshine and Freedom is a beautiful blog written by an Irish lass who now calls Spain home. She is a fabulous photographer who finds freedom in chasing butterflies. She writes about Spanish culture, life and fashion. 4. 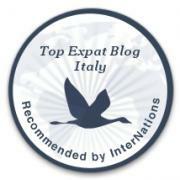 Englishman in Italy is a hilarious blog written by a Brit who now calls Piemonte, Italy home. He lives with his wife – Mrs. Sensible and blogs about expat life in the boot. His most recent post made me laugh out loud I peed my pants. 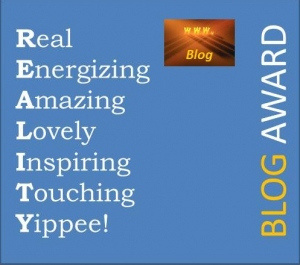 Pingback: The Reality Blog Award… | Ouch!! My back hurts!! Congrats Jennifer – you deserve it. Thank you so much for thinking of me when passing this on – I am so honoured. You’ve made my Monday morning, Jennifer! Do you realize how cool that is? Thank you for being such a faithful friend. congratulations! two more awards – and so deserved! Now if I could just figure out how to get paid for this gig! 🙂 Thank you kindly. ah yes – me too! Ooopps I forgot to congratulate you on winning the 2 awards (he says as wringing his flat cap nervously in his hands) . Sorry!! CONGRATS. Thank you some much I feel all warm and fuzzy, in fact I think I need a grappa to calm me down. Wait till I tell Mrs Sensible that she is famous mmm mind you she might then want to read what I have been writing. What a start to a Monday morning. Huggs and kisses the Italian way. I’m glad I made you feel all warm and fuzzy … wait that sounded strange! Be sure to tell Mrs. Sensible that she is uber famous! Enjoy!